Edna Pietsch shared a birthday with Brahms and Tchaikovsky, a fact she reported with immense pride. Perhaps this was an omen that she would go on to become an accomplished composer herself. Pietsch was quite a character and possessed an unforgettable persona. She had strong opinions about many matters. Regarding music, she likened "modern music" to a garbage dump; if you were around it long enough, it stopped smelling. Edna Pietsch was quite colorful and multi-talented. To cheer a friend's accomplishment or a relatives' milestone,she would compose personalized, creative, invariably silly, poems. Pietsch was quick to tell you what was on her mind and let you know where you stood with her. She lived her whole life in the same Milwaukee house in which she was born and delighted in that fact. Pietsch poured her heart and soul into her compositions. Likewise, she taught piano with a passion and was disappointed with students who did not share her passion, especially if the student was naturally gifted. Pietsch loved to entertain and was quite exacting in her attempts to teach proper table manners to her somewhat reluctant neices and nephews. She did things with a flourish. Another one of her avocations was gardening. Pietsch associated the beauty of the garden with the beauty of music and flowers provided inspiration for some of her works. For more information on Pietsch, click here. Dr. Julius Ehrlich twice performed works of Edna's with the Milwaukee Sinfonetta Orchestra. In November 1942 it was "Prelude & Fugue for String Orchestra and Timpani" and in December 1944 it was "Five Oriental Impressions." Dr. Julius Ehrlich twice performed works of Edna Pietsch's with the Milwaukee Sinfonetta Orchestra. In November 1942 it was "Prelude & Fugue for String Orchestra and Timpani" and in December 1944 it was "Five Oriental Impressions. Maestro Richard Balles conducted Edna's "Five Oriental Impressions" at the National Gallery of Art in Washington, DC in 1946. In 1956 piano soloist Shirley Sax Wasserman performed "Piano Concerto" in Waukesha, Wisconsin with Maestro Milton Weber conducting. 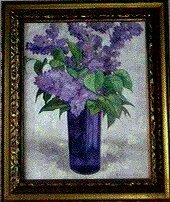 On February 22, 1998, "Lilacs" and other assorted works by Edna Pietsch were performed at the Hoosier Retirement Center in Indianapolis by Charles Kuhn, professor emeritus of Ball State University in Indiana, et al.